Earlier this morning at approximately 7:00 a.m. Calcasieu Parish Sheriff’s Office deputies responded to a residence Highway 90 East in Lake Charles in reference to an unresponsive man in the home. When deputies arrived they observed the victim, Didier Dario-Cabieles, 30, Lake Charles, unresponsive inside the home. He was pronounced deceased at the scene by emergency medical personnel. During further investigation detectives learned the previous night Didier was intoxicated and was causing a disturbance at the home. 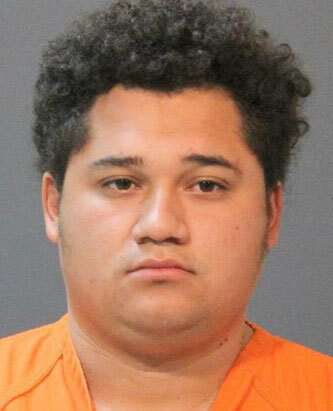 They were advised a family member, Erixon Aguilar-Cabieles, 25, 6675 Highway 90 East, Lot 47, Lake Charles, had bound Didier’s wrists and ankles with a cable wire and left him face down in the bed; immobilized and unable to care for himself. Didier was found several hours later unresponsive by family members, at which time they called 911. Erixon was arrested and booked into the Calcasieu Correctional Center and charged with negligent homicide. His bond is still pending.